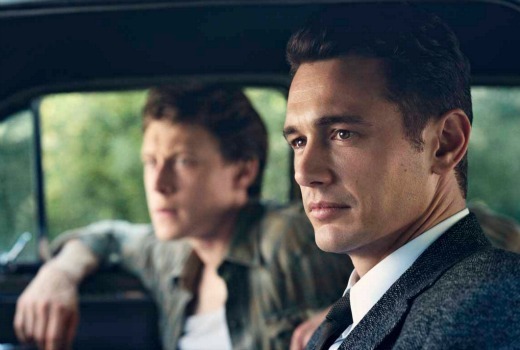 Upcoming US drama 11.22.63. will premiere on Stan next month. The drama from producer JJ Abrams dramatises Stephen King’s story of Jake Epping (James Franco), an ordinary high school teacher who is presented with the unthinkable mission of travelling back in time to prevent the assassination of John F. Kennedy on November 22, 1963. The 8 part series from executive producer / writer Bridget Carpenter begins on February 16th within hours of its US debut. Jake is willing to live in the past in order to solve perhaps the greatest mystery of the 20th century: who killed JFK, and could it have been stopped? As Jake tries to rewrite history, he discovers that the past itself does not want to be changed and will do anything to stop him. Based on Stephen King’s best-selling 2011 novel, 11.22.63 features an all-star cast including James Franco (127 Hours), Chris Cooper (American Beauty), Josh Duhamel (Transformers), Sarah Gadon (A Royal Night Out) and Australian stars Lucy Fry (Stan Original Series Wolf Creek) and Daniel Webber (Home and Away). Executive producers are J.J. Abrams (Star Wars: The Force Awakens, Lost, Person of Interest), Stephen King (The Shawshank Redemption), Bridget Carpenter (The Red Road, Parenthood, Friday Night Lights), Kevin Macdonald (The Last King of Scotland) and Bryan Burk (Star Wars: The Force Awakens). 11.22.63 debuts February 15, 2016, on Hulu in the US and is distributed worldwide by Warner Bros. International Television Distribution. I was hoping Stan would grab this. I used to have a Hulu subscription, but discontinued it. I’m impressed with Stan’s content, if Netflix block my VPN access to the US version of the service, I will most likely can them and keep with Stan. Can’t wait for this show! Should be a real kickstarter for Stan. Stephen King is a Genius … so it should be good. Have you seen Under the Dome or The Langoliers?